This indie game popped up on my radar this morning and I’m really loving what I’m seeing. 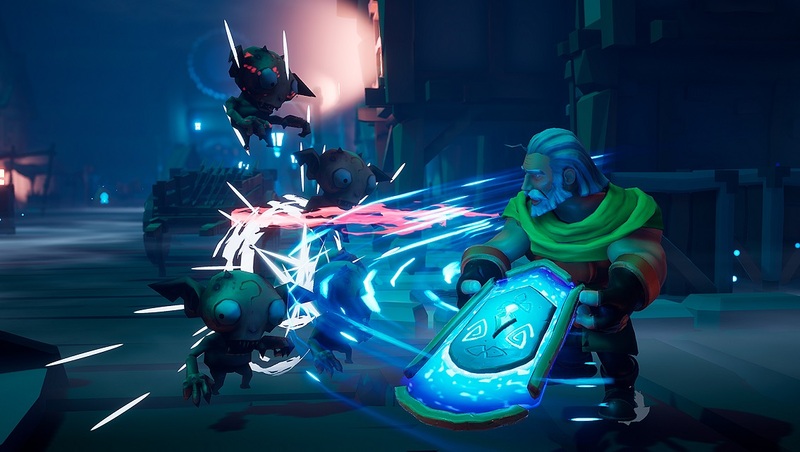 Effie is a hack n slash action platformer that looks really good. Effie is now wishlistable (fake words for the win!) on Steam. I love these types of games so I am excited. I love bright and colorful art design as well as the character design so far. The only downside I am seeing is the jerky camera movement when attacking. Not my cup of tea as someone who gets headaches from too much screenshake. That said, hopefully, it gets updated and fixed. Effie is a 3D action-adventure game that combines classic elements from the genre, such as combat, platforming, and puzzles, with the exploration of an expanded world. Live a unique fantasy adventure, free the cities from a powerful and dark evil, and relive the look and feel of old-school video-games! Delve into the adventure of Galand, a young man in his quest to recover his youth after a witch cursed him with premature old age. Defeat all the sinister creatures, overcome all the platforming challenges and solve the most complex puzzles! A powerful black magic controls the cities of the region of Oblena. To face evil, you will carry a magic shield that will allow you to defend yourself, to fight and to surf across the red grassland. It will gradually grow in power and skills! We all have fond memories of those incredible classic 3D action-adventure games. We have used those references to bring those sensations back to life again, but with modern graphics, controls and game-play!